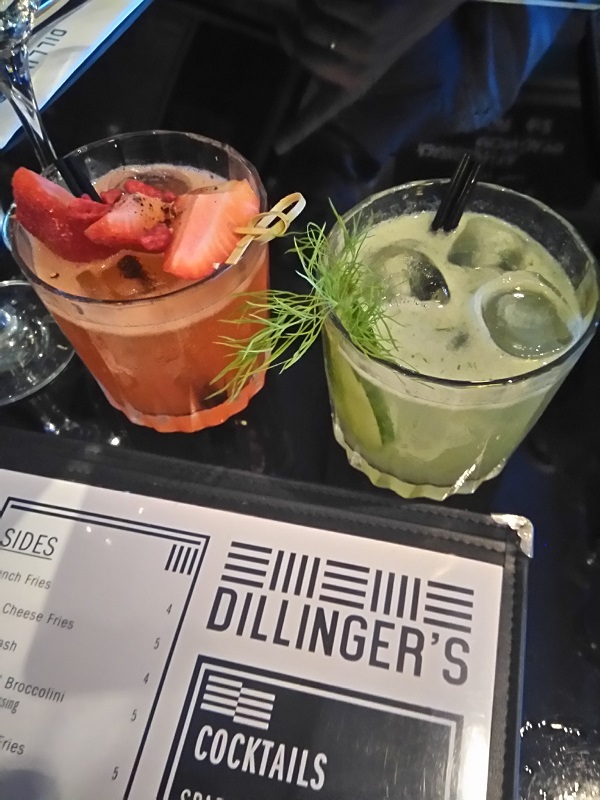 Uma Thurman’s cool and mischievous character from classic cult film Pulp Fiction would love Dillinger’s. 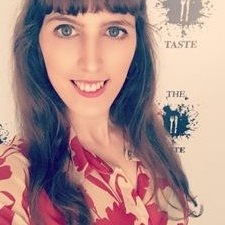 While there’s no dance floor in this American style restaurant and the music leans more towards upbeat synthesisers than electric guitars, the drink’s list was way more exiting than the overpriced milkshake she shared with John Travolta’s charming gangster in the iconic diner scene. Unsurprisingly busy on a summer Friday evening, we were guided to a table for two by a friendly waitress who by the end of the night we knew by name. A cocktail was the best way to start. I tend to get analysis paralysis when many options look equally tempting so I just asked the bartender for something “nice, fresh and not too sweet”. Is that a Pickle, a gin and Chartreuse herbal cocktail was his accurate answer. My diner companion, Andy, opted for a sweet and spicy mix, Strawberry Switchblade, where the fruit meets tequila and black pepper. Cocktails ranged between €9 to €12 with most -including our two choices- priced at €11. As we enjoyed our drinks, we listened to Charlie recite the specials. Luckily they were also written on the wall as there were quite a few and the music, though at a volume that didn’t prevent me from talking to Andy, made me miss a couple of her recommendations. She left us to ponder and soon our plans of having hamburgers and steak -two dishes previously recommended to me by a friend- fell apart. 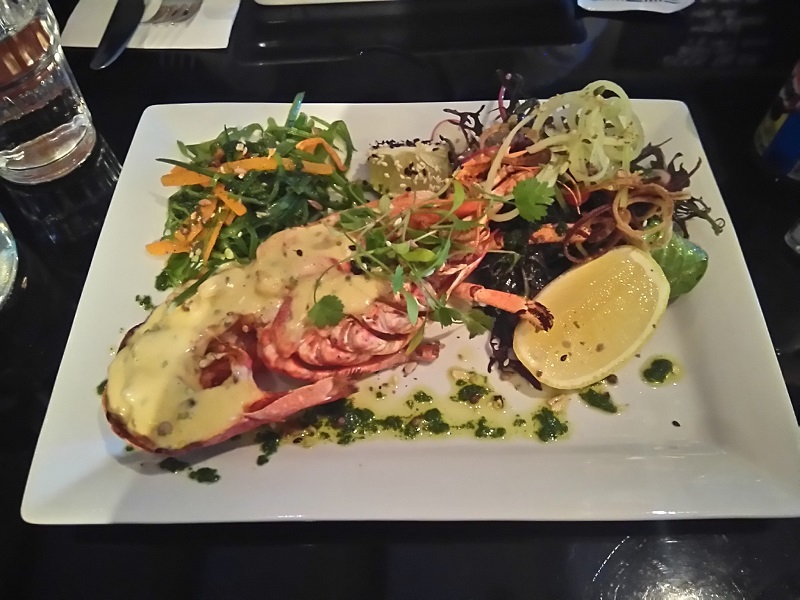 We decided to share half roast lobster (€16) as a starter. It only took a brief eye contact for Charlie to be back at our table and take the order, which continued with BBQ Pork Ribs (€20) for Andy and the Lamb Rump 10 oz (€24) for me. The menu, filled with varied and promising alternatives will please meat, chicken and seafood lovers, while vegetarian diners are limited to a couple of starters or a veggie version of the Killer Curry Special. Starters ranged between €9 to €16 and mains €16 to €28. Approximately 15 minutes after ordering, the roast lobster arrived. It was flawlessly cooked in butter, white wine and garlic, dressed with hollandaise sauce and served with a portion of the house salad and julienne vegetables. During the intermission between the starter and the main, we asked for the drink’s menu again. 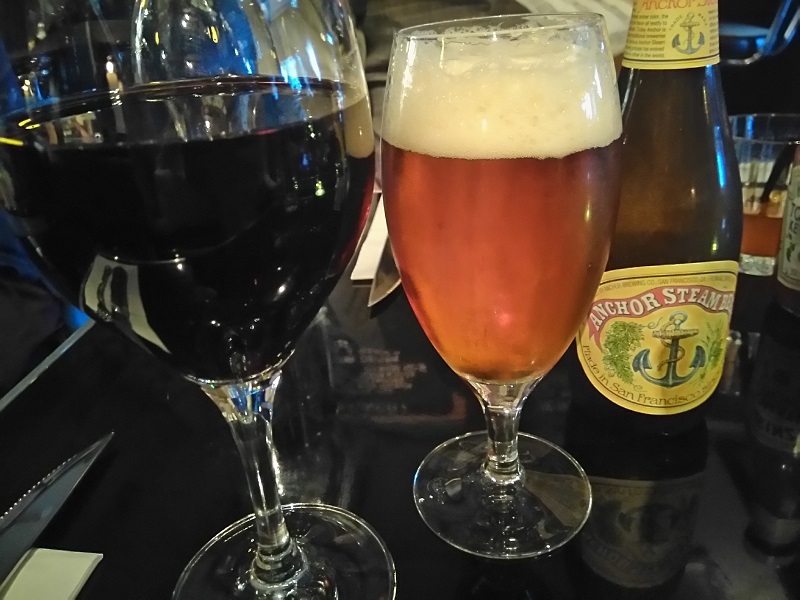 This time Andy went for a bottle of Anchor Stream Beer, helpfully described below its name as caramel and malty. The brew was one of eleven American craft beers to choose from, all at €6.5. I wasn’t going to let the lamb arrive to a wineless table and despite their “Interesting Red” selection looking very interesting indeed, I followed Charlie’s sensible advise and went for a large glass of Aussie Shiraz. 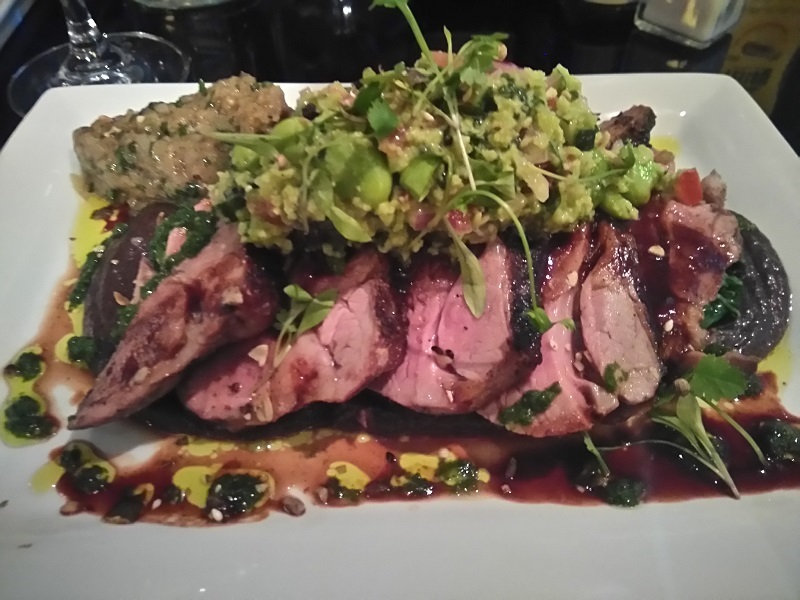 Perhaps with a larger selection of wines available by the glass (there were 10 out of 27 available by the bottle) I would have had a bit more fun with the pairing, but the combination of spicy, fruity, plump Shiraz from AU and juicy lamb with madeira jus was a winner. 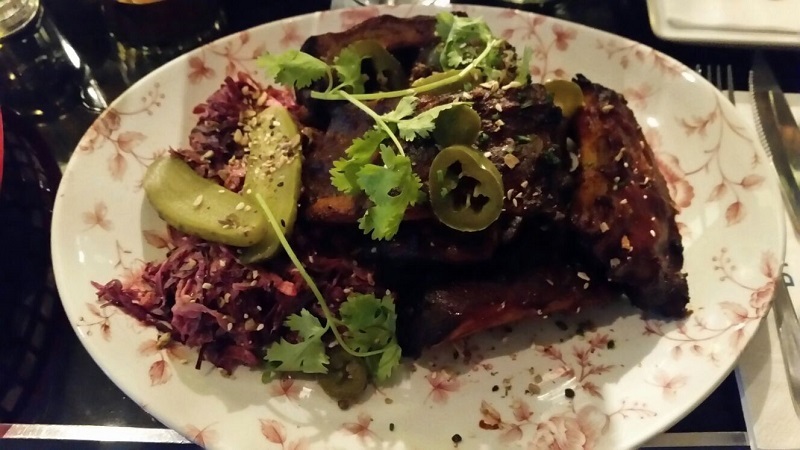 The ribs, served with an almost frighteningly generous portion of sizzling hot, crunchy chips, were xylophone-large and and tasty enough for my companion to break his poker face and exclaim that they were the best ones he’s ever had. I was struggling to play cool myself as the resulting pile of bones was as clean as a new set of Jenga. As for the lamb, abundance was again the first thing I observed and even though it was slightly on the medium side of medium rare, the meat was still succulent and soft enough to cut it with a butter knife. It was served with puree of black beans, aubergine caviar, broad bean salsa and madeira jus, and mildly seasoned. All plates were presented without artsy decorations, instead, they felt hearty and approachable, loyal to the casual all-American style that the place both evokes and upgrades. By the time we checked the dessert menu, it was nearly 10:00 pm and the place was packed. Families, couples and groups of friends alike were chatting and laughing in every single table. The pair of girls to my right seemed friendly enough for me to approach and ask them if they were there for the first time. “First time for dinner, yes, but we love to come here for brunch”. Now with a new item in my summer list, I resumed my search for some sugar. 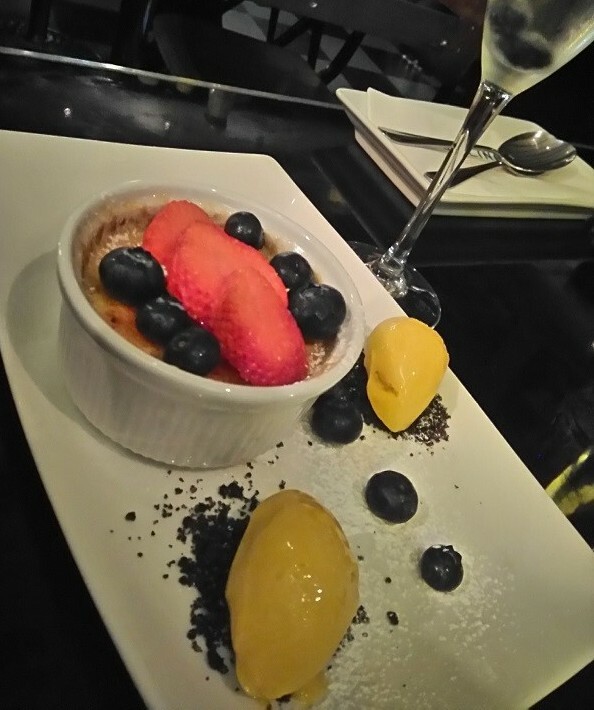 Desserts are priced €6 to €7 and the options are short but contrasting: selection of homemade ice cream and sorbets, warm chocolate mousses, clementine & Champagne crème brûlée and roasted strawberry bavarois. I picked the crème brûlée and Andy took the bavarois. Again an uncomplicated presentation and a plentiful serving were the norm. The crème brûlée’s top was crunchy and well crystallised while its inside was indulgently creamy and the mango ice cream to go with it was crisp, fresh and the perfect complement. The bavarois was smooth and flavourful, not overwhelmingly sweet and with a texture just in the right spot between airy and firm. By the time Andy was finishing his americano mains were still arriving to other tables. Fridays and Saturdays the kitchen closes at 11:00 pm (Sun-Tues until 9:30 pm and Wed-Thurs until 10:30 pm) which is brilliant if you’re looking for real food after the unofficial closing time of almost everywhere (a.k.a. 9:00 pm). In fact we agreed this would be a great dating spot for those who want to watch the movie first and stay for a few drinks after the dinner. Dinner for two with one cocktail each, a shared starter, a main and a dessert each, plus two glasses of wine for me and a beer and a coffee for Andy came to €124.